The Crossfire Minute: The Lion of Judah Is On The Move! The Lion of Judah Is On The Move! 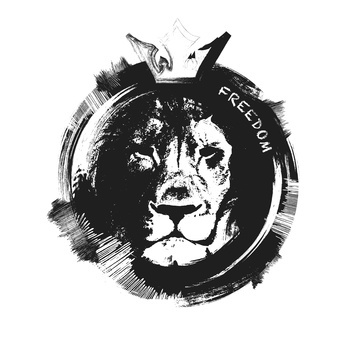 "More remnant hearts will be as the Lion of Judah, free from chains and walking in power." Deborah and I just returned from a 10 day ministry journey in Texas and New Mexico where the Holy Spirit stirred the hearts of entire churches to embrace His move in this day. I am excited to report a great move of the Spirit toward unity and purpose for those who responded with ‘send me’. Just as a small group of God’s people returned to Jerusalem after 70 years of exile, small groups of believers are returning to the heart of the Father, to the homeland of His kingdom in righteousness and with a purpose. So the Lord stirred up the spirit of Zerrubabel son of Shealtiel, governor of Judah, and the spirit of Jeshua son of Jehozadak, the high priest, and the spirit of the whole remnant of the people (Haggai 1:14). Before the Hebrew remnant began to restore the temple, the Lord stirred them. I believe that in this hour in church history the Lord is stirring the hearts of many across the world to advance His kingdom in these last days. The Holy Spirit is looking to and fro for who will respond. Only a remnant will say ‘here I am, send me.’ But those who respond will walk in a supernatural level of faith and trust in the Father to provide, protect, and direct their steps. During the meetings in recent days there was a move of the Spirit during praise and worship that brought a sharper edge to the battle ax and greater engagement in their kingdom position. There were deeper levels of wisdom and understanding about what the Father is calling out to His people. During one very powerful time of worship, a spontaneous flow of the Spirit broke into ‘There is power in the name of Jesus to break every chain, break every chain’. That word defines the Father’s heart to break the chains that bind and restrict His people from engaging and living in His kingdom. Some believers find security in their chains. Others seek to be free. While the Supreme Court just rewrote the definition of marriage, it cannot rewrite the Word of God or hinder the Father’s call to His children. The court cannot mandate hearts to agree with it. Those who have spiritual ears to hear and eyes to see are moving into a new dimension of faith and trust in the Father. Just as many of the Tribes of Israel chose to stay in Persia/Babylon, many in the church in America will choose to stay in the culture. But there is a remnant who have heard and seen the Father stirring them to prepare for the return of the Supreme Justice of the court, the King of Kings, Jesus Christ. Jesus offered himself as a lamb but will return as a lion, the Lion of Judah to break every chain. The Holy Spirit stirred the believers in Texas and New Mexico and chains were broken as the Lion manifest His presence and power. More remnant hearts will be as the Lion of Judah, free from chains and walking in power. Praise His Name!